Today's post is at the request of Kate, our little six-year-old. Upon discovering that Emily has been enjoying airtime on the blog, sharing her Christmas sewing, Kate asked if she could "have a blog all to myself, too." And proceeded to list all her recent sewing projects as supporting evidence that she was a worthy guest-poster, before I could even answer "yes". So, today, you guys get to see three sewing projects made by the feistiest first grader that ever lived. 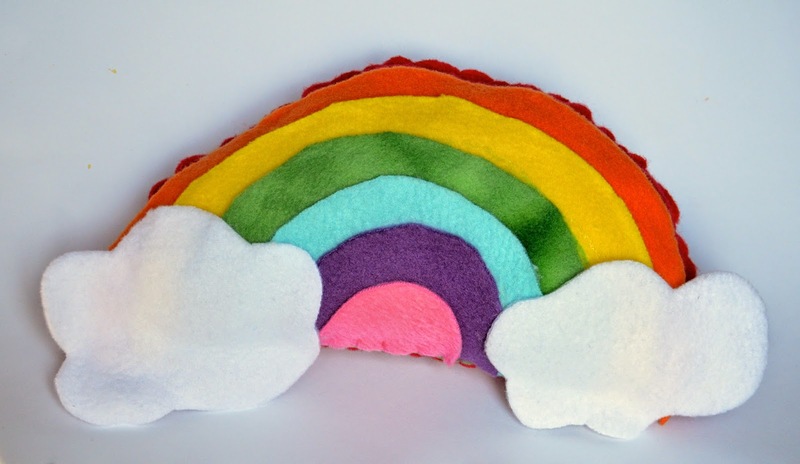 That first photo is Kate's Rainbow, which she designed one day when she was desperate to make something colorful. Without any particular object in mind, she was given full access to my big tub of fleece and, overwhelmed by all the colors, was motivated to use as many as possible, including pink. I helped her cut the shapes out and she glued them on in layers before handstitching all around the edge. This next one is one of her earliest sewing projects. Her excellent whipstitching was aided only by ink dots on the backside of the bunny head, to remind her to only poke the needle in one direction. 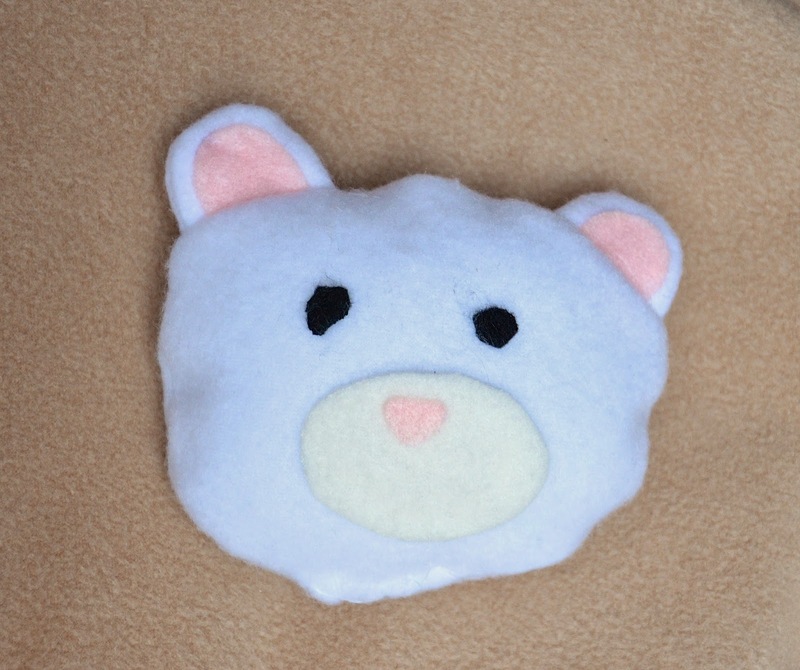 This was Kate's most recent machine-stitched work: a bear head for Jenna for Christmas. 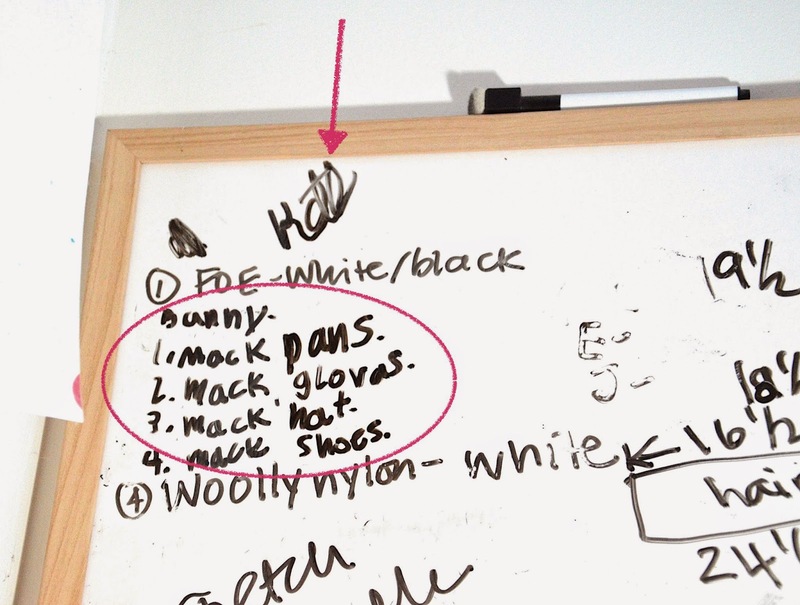 She has since made her own to-do list, and commandeered the white board in my sewing room to announce her 2015 sewing goals for garments for her best friend. In the spirit of comprehensive learning, I'm going to also teach her to procrastinate, because it's a very important skill that all good seamstresses should have. I figured that I wouldn't be a good mother if I didn't. What beautiful projects! I particularly love the bear head - it's so cute! My 7-year-old son and 4-year-old daughter are just starting to learn to sew. I will show them what you have made Kate and I'm sure it will inspire them Thank you for showing us and do show us the clothes you make for Bunny when they are ready. 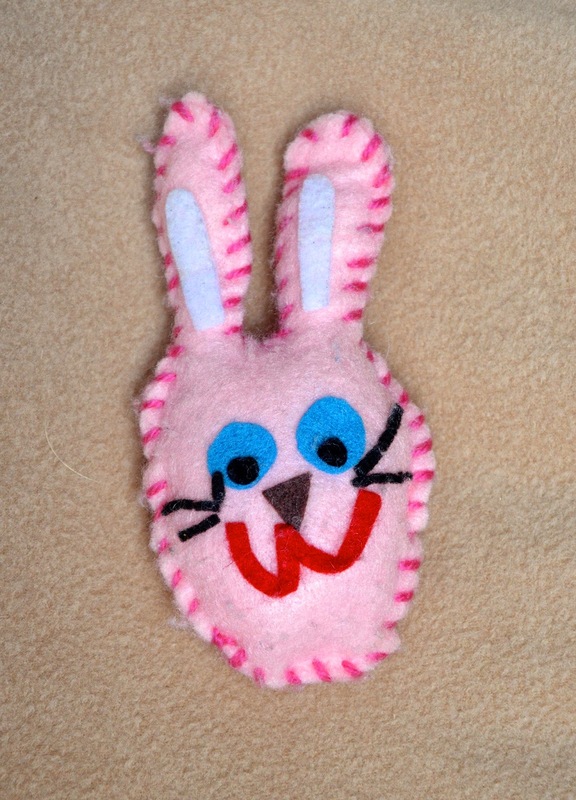 Aww... Kate's sewing makes me smile - especially that bunny! And a to-sew list already? What an ambitious little girl! How lucky Bunny will be to get all those new clothes! You're totally right Kate, they are adorable. Excellent projects, Kate! Can't wait to see Bunny's new wardrobe. When I was Kate's age, I was working on an embroidery sampler, with the cross-stitch motto: To a friend's house the way is never long." Maybe so. But that sampler went on forever! What wonderfully original projects! Fleece is perfect for hand-sewing, isn't it? I posted kid-sewing today, too. Also fleece, but more monochromatic. These are the cutest projects ever! Absolutely adorable! how adorable! You must be soooo proud! I know I love when my kids want to craft, and now my wee one is ready to start sewing. I love her bunny project and appreciate the "black dot on the backside" for guidance - totally going to try that. Please share more of Kate's sewing projects, my daughter will be a big fan! Procrastination is a dish best eaten...tomorrow! I love the little bunny! What type of glue do you use for projects like this? MaryAnne: we use our multi-purpose UHU glue (we buy ours from SIngapore but you can get the US versions on amazon) but you can also use common fabric glue. A very worthy guest-poster :) Today my 4-year old drew a fairy costume for herself and then proceded to pick out fabrics, and is expecting the actual sewing to start tomorrow. So now I have to figure out how to translate a pink triangel with purple and yellow stripes into an actual dress!